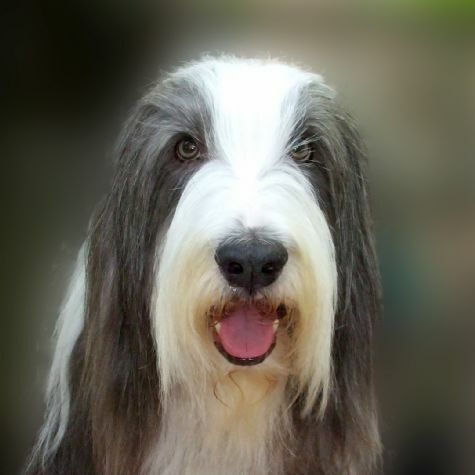 Leo is a Bearded Collie. At home and at the hospital he moves slowly, like �Eeyore�, swishing his hips from side to side. His gentleness puts the patients he visits immediately at ease. At the park, Leo transforms into �Tigger�, often bouncing six feet high in a display of pure happiness. While working he is reserved, but once his paws hit a grassy surface, he becomes a social butterfly. Leo retired from the dog show scene and found his niche in therapy work, bringing comfort to others.